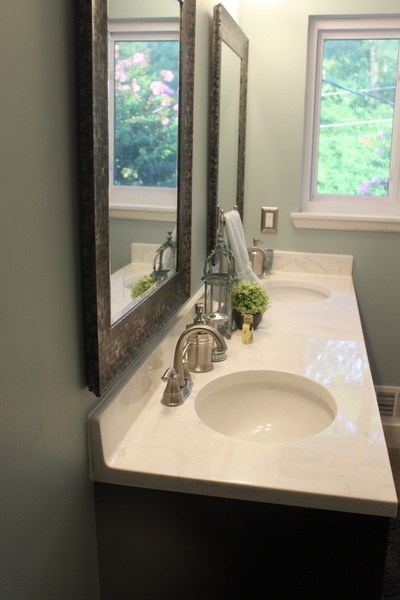 ​Whether you are simply looking to update your bathroom or are ready for an overhaul of that outdated tile that's inhabited your home longer than you have, Dixie Marble has a style to fit your need. 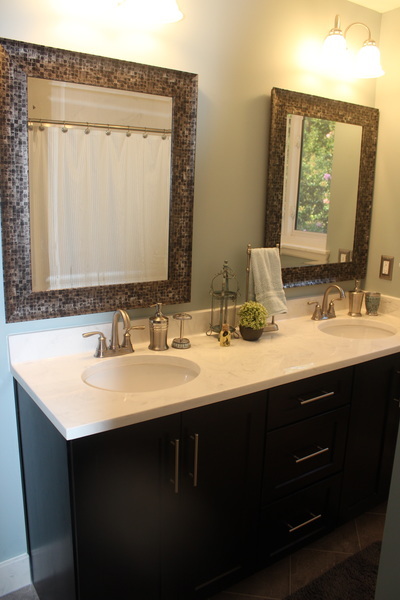 We offer tubs (with or without a jetted system), showers, tub surrounds, custom vanity tops, kitchen counter tops, window sills, baseboards, and much more. 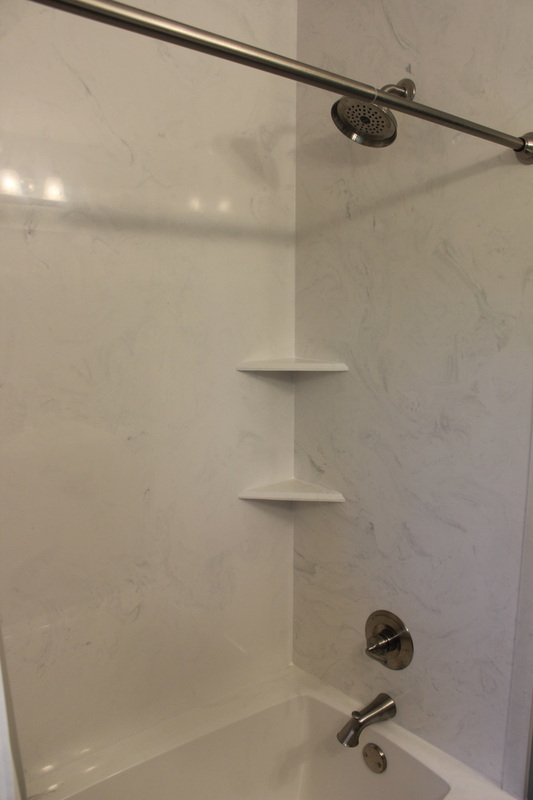 If you've looked everywhere and just can't find the look for you, Dixie Marble offers custom-made showers, tubs, and counters that will fit your home perfectly. Looking for a modern bathroom design with sleek, bold lines? This clean, classic design can replace that outdated tile hall bathroom with a fresh look. It's a beautiful addition to any home. Check out these beautiful photos from a recent remodel. We removed a pink tile bathroom from the 60s, replacing it with this gorgeous, sleek, modern, cultured marble update in white with gray swirl. Did you know Dixie Marble can update more than just your bathroom? Is your kitchen ready for a change, too? Try the surface everyone is raving about: Concrete! Update your kitchen with the hottest countertop material on the market and see why customers are ditching granite for the beautiful, rugged versatility of concrete. Cl﻿ick here to see two of the hottest materials on the market, #1 and #7, both available at Dixie Marble. ​Tired of that useless guest bath tub and surround? 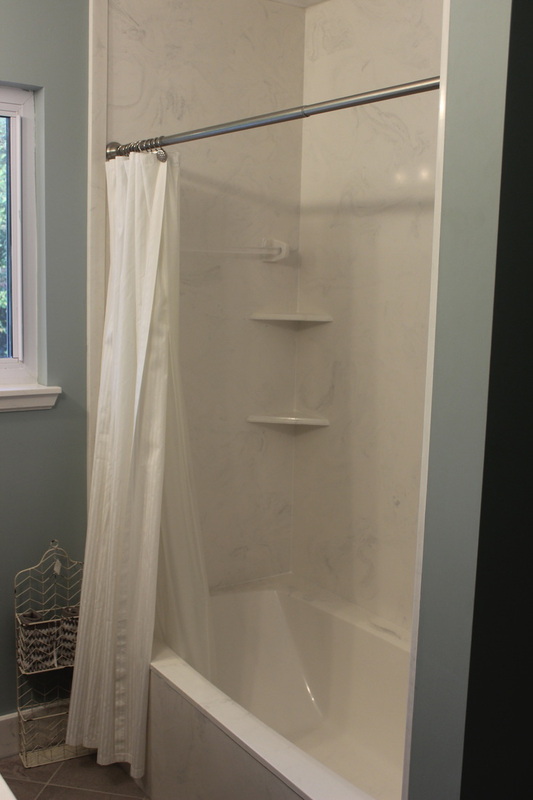 Are you afraid a change would require a complete bathroom redo? Dixie Marble can install a beautiful shower unit without modifying the drain location. Our expert contractors have an easy solution for upgrading the usefulness and appearance of your bathroom. 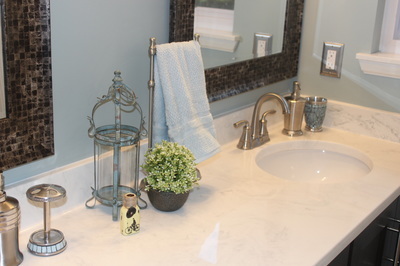 Create a bathroom your guests will love.